The Mother (Mirra Alfassa) was born in Paris in 1878. Even at childhood she was preoccupied with the inner search and was led to extraodinary spiritual experiences which deepened, in her late youth, into a realization of constant inner search and was led to extraordinary spiritual experiences which deepened, in her late youth, into a realization of constant inner union with the Divine. In 1914 she met Sri Aurobindo in Pondicherry and established a divine collaboration with him. After her second meeting with Sri Aurobindo in 1920 she never left Pondicherry again and worked with him for the foundation of a new age and consciousness. The Sri Aurobindo Ashram grew under her guidance and practical advice, and she founded the International Center of Education to prepare children for the integral life as envisaged by Sri Aurobindo. Later she started the project of Auroville as a model for social evolution under divine guidance. 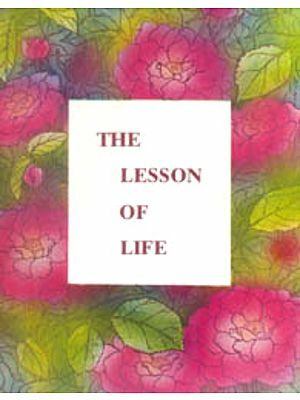 The last years of her life on earth the Mother engaged herself in the yoga of physical transformation and tried to direct the very cells of her body to a new functioning. In 1973 she left her body, after having taken the transformation to the utmost development possible at this stage of earth evolution. Wilfried is a German author and Indologist. He has translated several major works of Sri Aurobindo. A learned professor once told us in a lecture, “If I do not understand a subject, I write a book about it . ”This is certainly a good method in the field of academe, but it has only a limited validity in the spiritual field where many a truth may elude the seeker during his whole life. 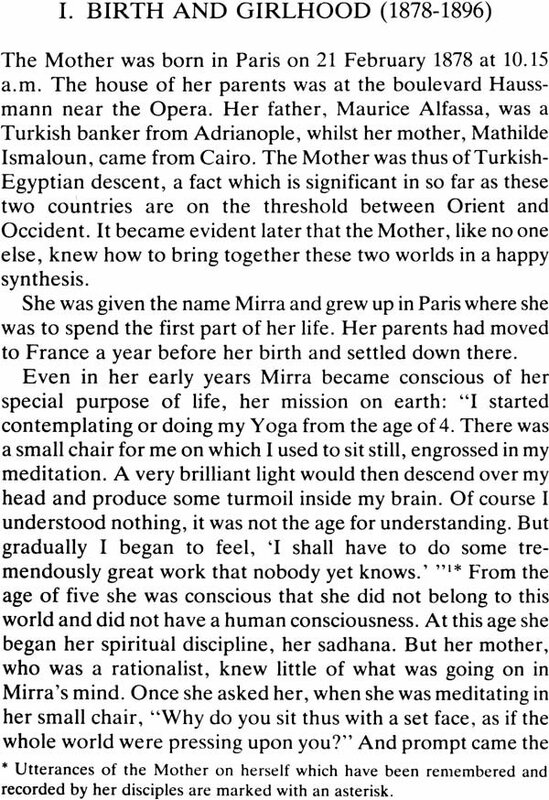 How much more do we become conscious of our limitations if we write about a cosmic personality such as the Mother! And yet it is not a vain task, for even if we may not comprehend Her being in its totality, we can yet receive here and there, by intuition, a ray of light form Her immense Sun. In order to give a safe foundation to the book we have made ample use of autobiographical statements of the Mother herself. Further information was drawn from the abundant secondary literature, especially Nilima Das’ compilation Glimpses of the Mother’s Life in two volumes and K.R.S. 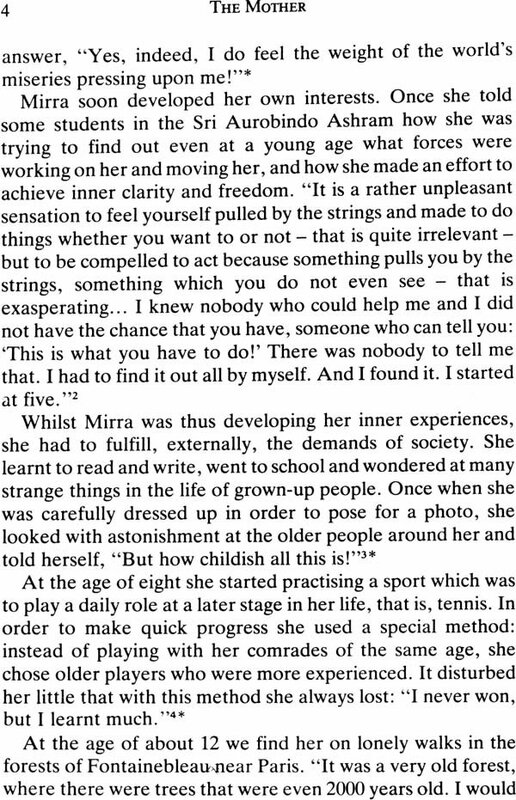 Iyengar’s standard biography On the Mother. In concluding, we wish to thank the Sri Aurobindo Society for the suggestion and encouragement to undertaken this work, Mr. K.D. 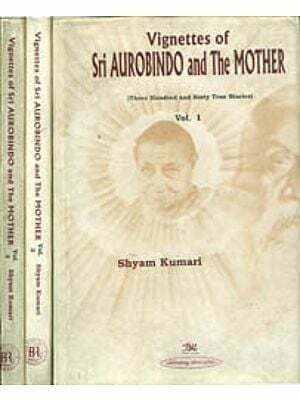 Sethna for correcting and editing the text, and the Sri Aurobindo Ashram Trust for its kind permission to bring out the book as an introduction to the Mother’s Life and to use excerpts from the writings of Sri Aurobindo and the Mother. This humorous story which the Mother once told her disciples serves well to form the opening of our book. Even though the Soul may be one everywhere, it is so in a special way in India which has a high spiritual mission on Earth. And thus it happened that a small town in the South-East of this blessed country was chosen to be the place where a formidable evolutionary experiment would be under taken, aiming at a most explicit One- ness or Unity – not however a uniformity which exists by suppressing variety was to be sought for, but an infinitely wide and comprehensive consciousness which takes up in itself, assimilates and furthers all manifestations of multiplicity without losing itself in the process. Sri Aurobindo, India’s great revolutionary, poet, thinker and yogi of the 20th century, called this new consciousness the supramental consciousness and dedicated his life to its realization and manifestation. 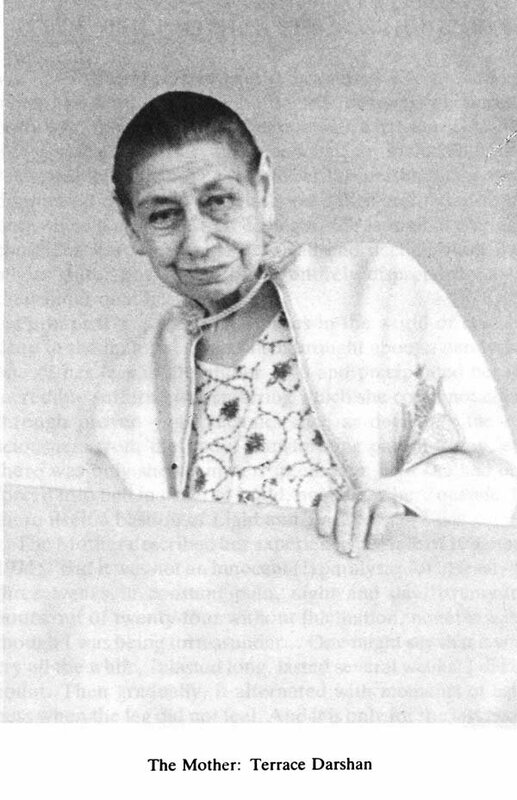 The Mother, Mirra Alfassa, was his spiritual collaborator. She had taken charge of the Sri Aurobindo Ashram in 1926 and guided its growth and development in all details. She initiated the disciples into the new consciousness which Sri Aurobindo was bringing down on earth, and she founded the International Center of Education so that children might literally breathe-in the yoga from the Kindergarten stage and grow, by way of playing as it were, into the new life. And it was she who founded Auroville, the City of Down where Sri Aurobindo’s high ideal was meant to be realized for the first time in the wider scope of a township. Sri Aurobindo left his body more than three decades ago, and the Mother one decade ago. And yet their living presence is there and inspires many disciples to continue the work that was initiated by them. Every visitor at the Sri Aurobindo Asharm can observe on the Mother’s birthday thousands of devotes passing through her room in an endless line from early morning until noon, making pranam before her bed. For all of them the Mother continues to be there and she is felt helping, guiding and protecting. 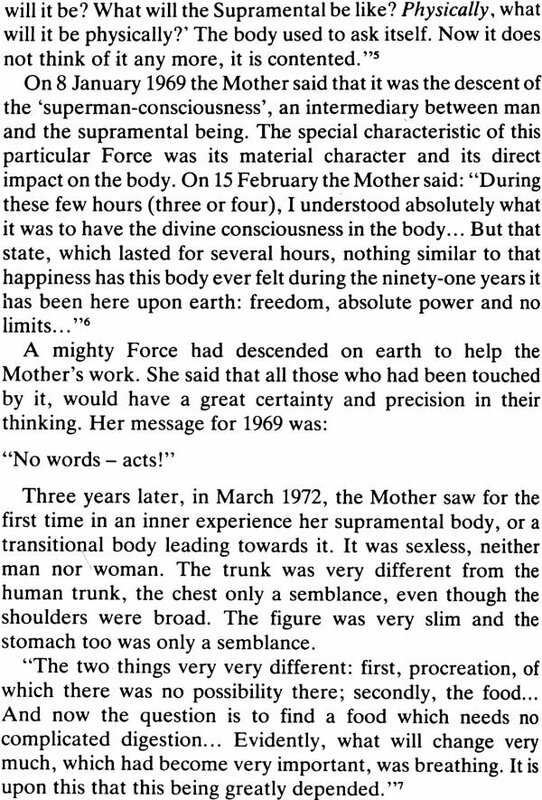 If in the following pages we give many data on the outer lift of the Mother, since they are of interest from the viewpoint of our searching intelligence, it should not divert the mind from the proper purpose of such a writing: to the point towards the timeless ever-living Mother of the Universe, her Power and Love, which are felt if we turn towards her. “I am not eager to be the Guru of anyone. It is more spontaneously natural for me to be the universal Mother and to act in silence through love.” We believe that nothing could better characterize her being than these few words from her own pen.